More than $300 billion are spent on legal services each year. Yes, it’s a big market, and for a good part of it, it still seems to be dominated by old business processes, outdated softwares and fax machines (if not pen & paper). It’s not surprising then that an increasingly large number of startups are busy rethinking this age-old activity, hoping for a slice of the cake. But disrupting this industry is a much bigger challenge than you might think. Michael Chasin, co-founder of law industry-focused CRM company Lexicata, has stated that “lawyers tend to adopt technology at the speed of a tortoise.” Not because they’re afraid of being replaced by it, but thanks in part to privacy concerns and confidentiality issues, their industry is extremely risk averse. Additionally, lawyers traditionally run cost-agnostic businesses. If their hours increase, they charge more. As such, workflow optimization is not a priority the way it is in other industries like software development. The conventional wisdom appears to be ‘better slow and safe than sorry’. However, legal casework involves piles of information and heterogeneous data that simply scream for software solutions. As customers increasingly look online for time and cost-effective solutions for every service they need, law firms are going to have to start competing. Thus, automation, efficiency and transparency will become the key to success. Investors are catching on to this phenomenon and are quickly pouring money into legal innovation. Here are some startups making a good argument for funding. Avvo has secured an impressive $71.5 million series E in July for its platform offering free Q&A, quoting services and lawyer listings and reviews. Also applying the on-demand model to the legal industry, Rocketlawyer is turning the hard and confusing process of finding a lawyer into a couple clicks thing. Many legal tech startups are entering the market with a very focused approach, answering specific types of law cases customers are frequently confronted to. Airhelp helps travelers get money back from a delayed or cancelled flight – cutting off the painful process of filing a complaint. Using expert traffic attorneys, Fixed claims a 90 percent success rate in reviewing and dismissing speeding tickets for car drivers. Wevorce connects people with certified divorce experts to address the emotional, financial and legal issues of divorcing affordably and effectively. Mighty provides financial loans and cash advances for plaintiffs waiting for legal settlements. Entrepreneurs and business owners have loads of legal matters and paperwork to deal with. Clerky aims at answering their specific needs by streamlining the cumbersome task of generating official documents. 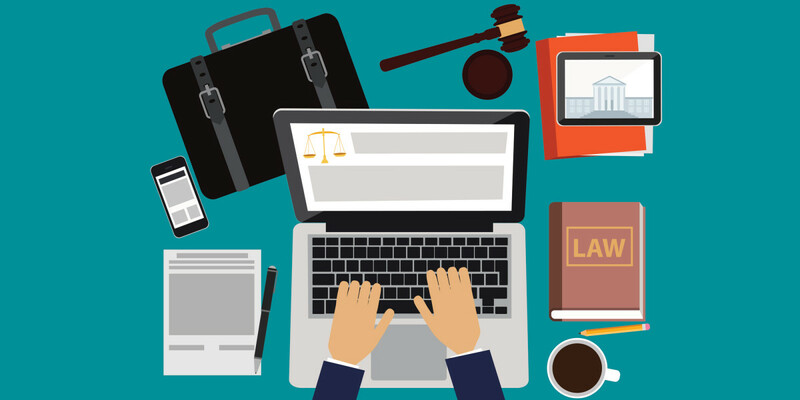 When it comes to B2B startups for law firms, software companies are establishing their services as must haves, optimizing everything from team collaboration and document management to databases. Clio claims to have already attracted tens of thousands of legal professionals with its cloud-based law practice management software. CaseRails brings automation where it’s most needed – helping attorneys draft, store and reuse legal content efficiently. By combining open data with artificial intelligence, FiscalNote aims to simplify the way legal professionals can access information such as state regulations. To keep track of these companies (and plenty more) check out the legal tech market on Index.